Emoticons or emojis have their own importance in a conversation. Keeping that in mind, WhatsApp has introduced refreshed emojis on its messaging app. So far, Facebook-owned WhatsApp was using emojis from Apple, but now they’ve rolled out their own emojis for Beta testing. 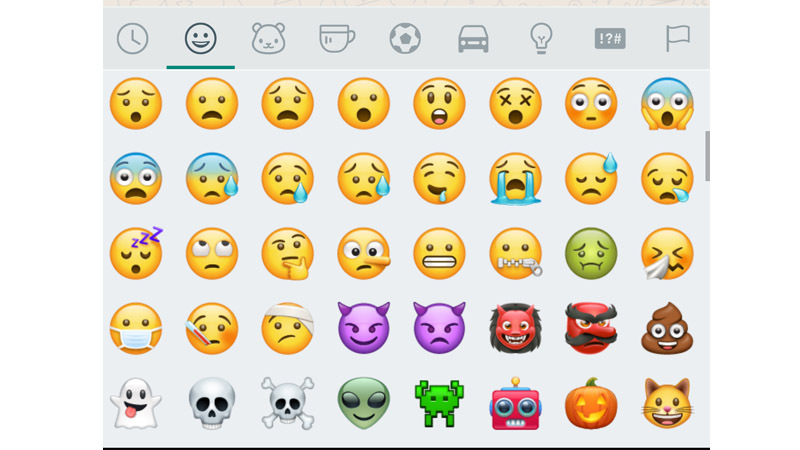 The new set of emojis from WhatsApp are available on WhatsApp Beta version 2.17.364. The updates pack is more realistic to look at, and certainly more expressive than the previous emojis. WhatsApp has made some changes in the colour scheme and appearance, they’ve also added Emoji 5.0 support. Emojis are something we use in day-to-day conversations while using instant messaging apps. Their primary purpose is to make a conversation more immersive and expressive, and WhatsApp has tried to do just that. While there are new emojis too, the old ones have also been refined to show more detail. For example in the above screenshot, you will see that the new emojis have more realistic eyes, the expressions are well finished and look like they’re slightly popping out to add a cool 3D like effect. The overall changes in the new emojis also include aesthetic improvements to the appearance, hairstyles, and even dresses of certain emojis. The new ghost emoji looks really good. While there are some new emojis included in this WhatsApp Beta release, they’re not yet available for iOS users. 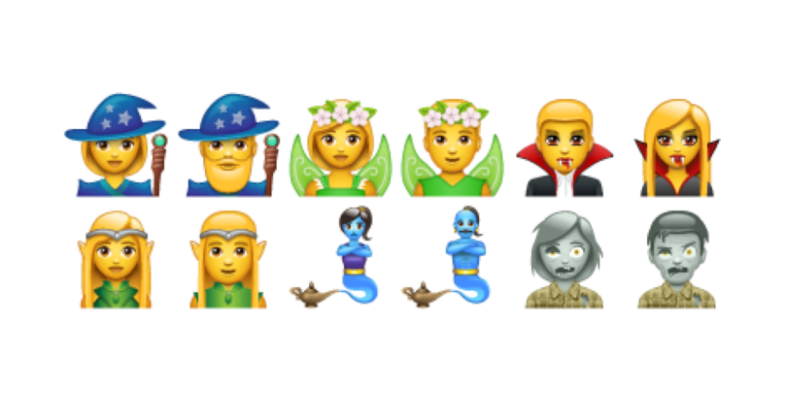 These are the new ‘fantasy emojis’. With social media and instant messaging rapidly becoming popular, emojis have gained a fanbase of their own. It was not too long ago when Apple showcased the Animojis for iOS 11 on iPhone X. Using your facial movement, the Apple Animojis animate the emojis while recording your voice in it. It might sound silly at first, but this is way more expressive and immersive than the present emojis that we have. The new emojis pack by WhatsApp is also offering better quality emojis with more immersive experience for the users. If you want to get your hands on the new emojis and other features on WhatsApp, before they’re released for public, you can enroll for WhatsApp Beta here.